Captain Richard John Bruce Bolitho (formerly J.B. Bolitho) (1889-1965). Sitter: Captain Richard John Bruce Bolitho (formerly J.B. Bolitho) (1889-1965). Biog: Captain, Devonshire Regiment; Reserve of Officers, Royal Corps of Signals. Location: 160 New Bond Street, London. 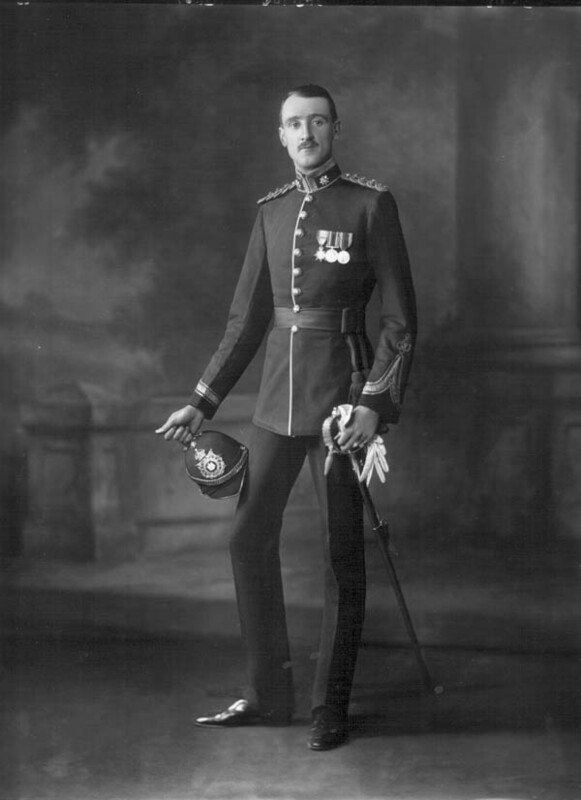 Costume: Full Dress uniform, Captain, Devonshire Regiment. Orders, Decorations & Medals: 1914 Star; British War medal, 1914-20; Allied Victory medal, 1914-1919. Biog: Who's Who; Army Lists; The Times, 14 September 1965, p 12d. Orders, Decorations & Medals: E.C. Joslin, A.R. Litherland & B.T. Simpkin, British Battles & Medals, London, 1988.